AirPop is the world's first smart air pollution mask. It was created to protect the more than 2 billion people living among the pervasive airborne pollution in Asia. The advanced filtration layer blocks the most dangerous class of particles smaller than 2.5µm in diameter. Consumer air purifiers have seen a recent increase in innovative design and engineering to improve efficacy, but the same level of innovation hasn't made it to wearables for air pollution. 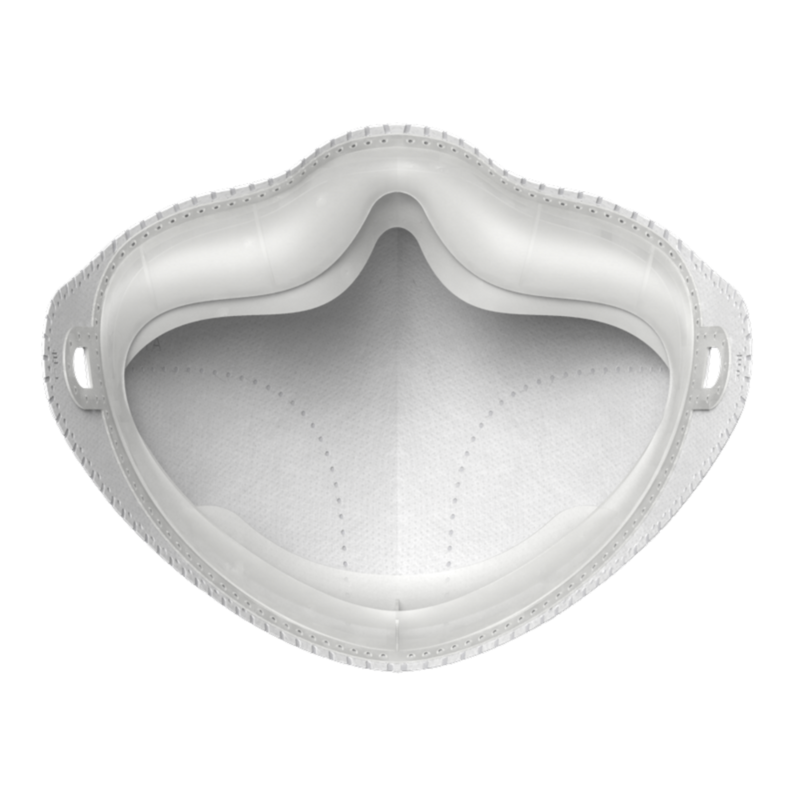 AirPop was born to reinvent and reimagine a more functional, comfortable and stylish mask experience. AirPop aims to do something fundamentally valuable - connect the health of a person’s environment to their internal health to provide feedback and guidance based on their protection quotient and respiration activity. 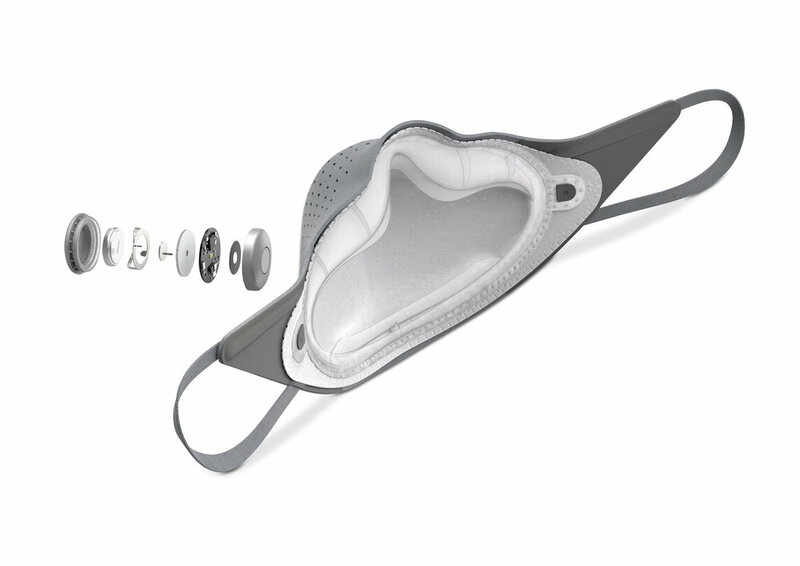 Effective even without a smartphone, the mask is a preventive health and lifestyle accessory. Connected, the mask becomes tremendously more powerful creating the mind shift necessary for individuals to understand the consequence of air quality to their long-term health as well as helps them build behaviors that limit their overall risk. AirPop protects when you inhale and detects when you exhale. The goal for the design was to make it effective (breathability and sealing), smart (ability to monitor air quality and filtration), and beautiful (fits into everyday lifestyle). Many prototypes were made to address the different aspects of AirPop mask. We addressed the fit and sealing of the mask around the face, breathability, fitting around the ears, to finding the feasible ways to manufacture our discoveries. Initially we thought the AirPop mask would comprise of 4 parts, the outer mask, air sensor, replaceable filter, and structure skeleton to create a form fit and seal. Though this seemed like a viable route our breakthrough moment happened when we challenged ourselves to reduce the number parts to be handled. What came out was an idea to integrate the seal to the mask or the replaceable filter. We landed on creating a TPE seal on the replaceable filter because it kept a better facial seal and it also allowed us to keep the outer mask washable prolonging the outer masks's life cycle. In 2018, there are around 1.5 million daily active users in China with plans to expand into India as a second home market to triple that number. AirPop has established itself as the number one consumer mask for health-conscious millennials in China and hopes to do the same in urban India.